Mangar Health’s Camel and ELK lifting cushions will be travelling to the winter Paralympics in Pyong Chang , South Korea this March, to support the Norwegian team. 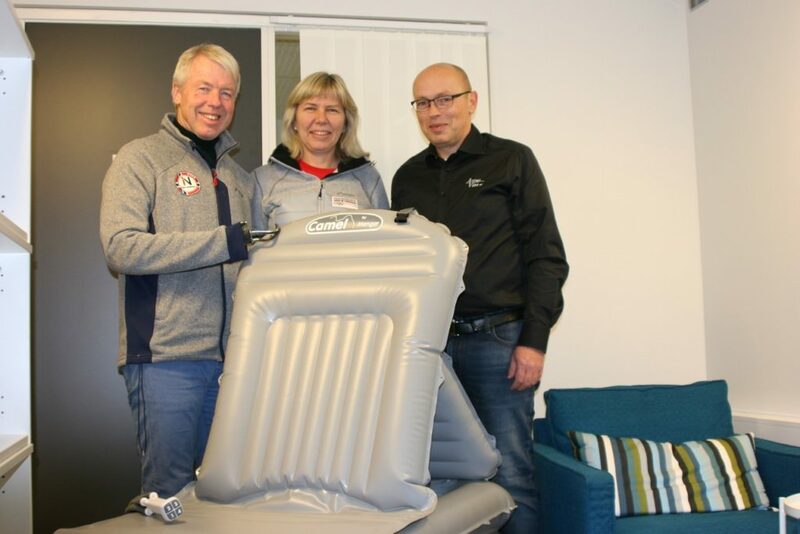 Tor Arild Mortveit from Arcus Vita, Mangar Health’s distributor in Norway, presented the lifting cushions to team ambassador Cato Zahl Pedersen and Chief Medical Officer, Hilde Mosby Berge. Cato is a familiar face in Norway having won fourteen medals at the Games, in both Winter and Summer Paralympics. Famous for alpine skiing and athletics, Pedersen also took part in a successful four-person Norwegian skiing expedition to the South Pole. Tor says, “Arcus Vita is delighted to be supporting the Norwegian Paralympic team in Pyong Chang this winter. The Camel and ELK are great lifting solutions for the medical staff supporting the team and they are thrilled to have the equipment as part of their kit. Chief Medical Officer, Hilde Mosby Berge, uses the Camel with athletes at both the winter and summer Paralympics. Tor says, “Hilde is extremely experienced at managing the care of Paralympians and understands the high risk of injury in a number of the sports featured at the Games. The Camel is her equipment of choice to lift any injured competitors after a fall. The 2018 Paralympics start in South Korea on the 8th March and conclude on the 18th March.